Over the weekend of 14th and 15th of July in 2007, Barrow Hill held a Class 20 gala to mark 50 years since the class 20 or English Electric 1000hp Type 1 that had entered into traffic with British Railways. Class 20s have only one cab and were, and still are often used in pairs, with their cabs on the out side.Because they have been about for 50 years there are quite a few things that have changed over the years. But not as many as you may think. The full yellow ends being one of the main things to note. The class 20s are still in use in 2015 on the main lines in the UK. Some even going to Heritage lines or into store and coming back onto the main lines. Class 20 087 in British Rail blue with full yellow ends at Barrow Hill in 2007. 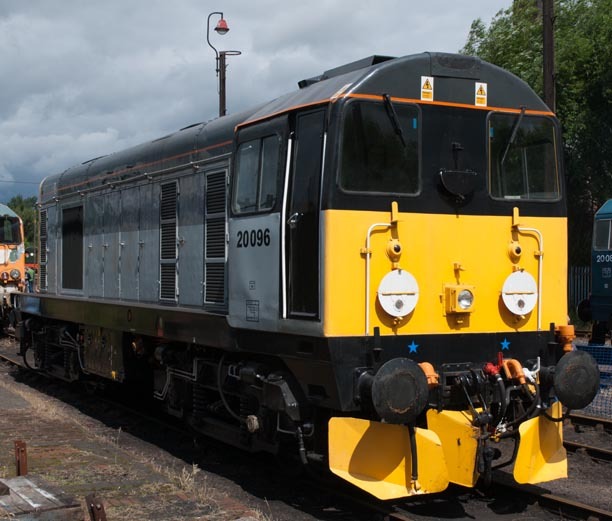 This locomotive 20 087 was built by Robert Stephenson & Hawthorn Ltd of Darlington in September 1961 as D8087, part of the then new class of English Electric 1000hp ‘Type 1’ locomotives. This locomotive is based at the East Lancashire Railway in Bury. Class 20119 at Barrow Hill in 2007. This washed out BR blue is more how class 20s often looked in hard day to day service. 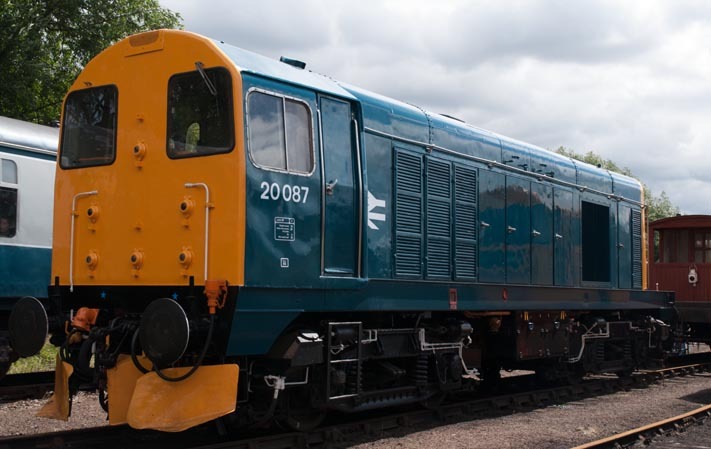 Class 20119 was purchased for preservation at one time, but was scrapped in Febuary 2009 at C F Booth in Rotherham.